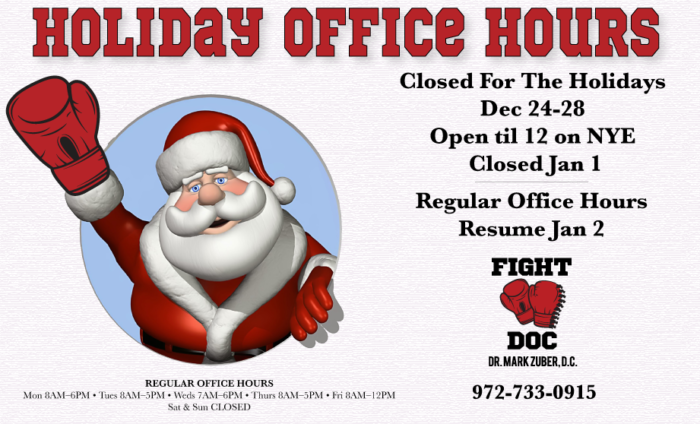 Our office will be closed next week, Dec 24-28. 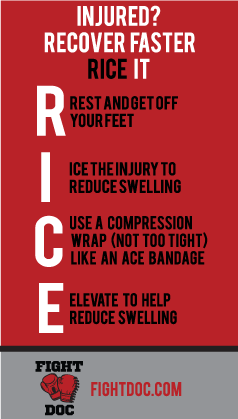 When our athletes suffer an injury, we tell them to RICE it. Get off your feet and give yourself time to heal. More activity can lead to more damage. Yes, ice, not heat. Heat can increase swelling and inflammation. Cold numbs pain and reduces swelling by constricting blood vessels. After injury, wrap an ice pack in a cloth and apply for 20 minutes, remove for 20 minutes, reapply for 20 minutes and so on. To prevent frostbite, do not apply ice directly to the skin. Elastic bandages do a good job of compressing a new injury or inflammation and help keep swelling down. However, there’s a limit to how long you should compress an injury. At some point, blood flow to the injured area needs to increase to encourage healing. Use an elastic bandage like an Ace bandage for the first 24-28 hours. Elevate the injured part of the body above heart level. 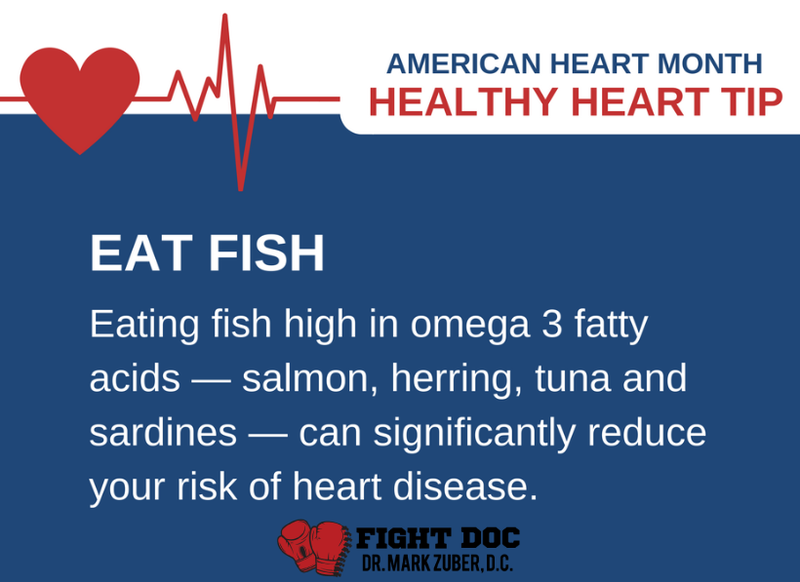 This provides a downward path for draining fluid back to the heart, which may reduce swelling and pain. If your pain and swelling don’t begin to reduce after 48 hours, you should see your doctor. With the right care, sports chiropractor Dr. Mark Zuber will have you pain free and performing better in short order! Motor vehicle collisions can have a significant affect on your body– more so than you realize! Obviously, a car’s body can withstand the impact of a crash much better then a human body. When a car is struck, the human driver and passengers take more of the energy transfer; it could be an impact very similar to an NFL linebacker tackling a 5 year old! But what looks like a “minor” accident because there is minimal car damage, can actually result in severe human injury. This is why 50% of whiplash injuries happen without any visible damage to the vehicle. Many car accident victims do not even realize just how badly they are injured, and sadly, these injuries can get much worse in the first few days to weeks following an accident. The common medical phrase “time is tissue” means that the longer the tissues go without treatment, the more tissue damage can develop. Even worse, scar tissue begins to form in the first 3-5 days. If scar tissue isn’t “taught” how to be of good quality, then it develops very tightly and causes problems to the joints, nerves and blood vessels around it. So ignoring the slight soreness after a collision can lead to bigger problems. Get evaluated for injuries ASAP. Even mild damage to a car can lead to major damage to you. Use ice on the injured areas for the initial phase. Do NOT use heat. It will lead to more bleeding and scar tissue. Try to keep as normal a routine as possible. 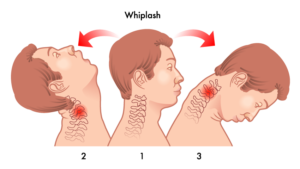 Whiplash is a neck injury that is due to a forceful, rapid back-and-forth movement of the neck, like the cracking of a whip. Over 3 million whiplash injuries occur each year resulting from motor vehicle crashes. Of these whiplash injuries, 500,000 people will develop chronic pain, and up to 300,000 will have some degree of disability. When left untreated, whiplash can lead to chronic neck pain, back pain, headaches, sciatica or long term pain which can lead to arthritis. With timely care, Frisco chiropractor Dr. Mark Zuber will help you to recover from your auto injury. As a runner, have you ever wondered how you can have a really fast race one day, and never get comfortable during another? Have you wondered why you can’t run or jump as well as you could when you were younger? Over time runners develop movement dysfunction patterns that can create a chain reaction that affects performance and may lead to injury. Plantar fasciitis, knee pain, IT Band issues, hip pain and limping often stem from a syndrome called Pronation Distortion.  Don’t worry it is not as bad as it sounds, and more importantly it is very treatable! 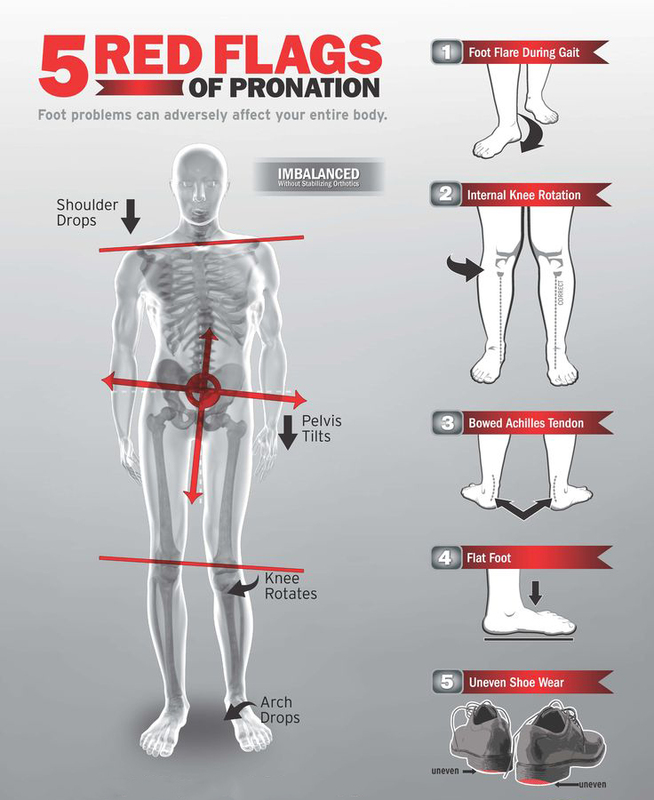 What is Pronation Distortion and how do we correct it? 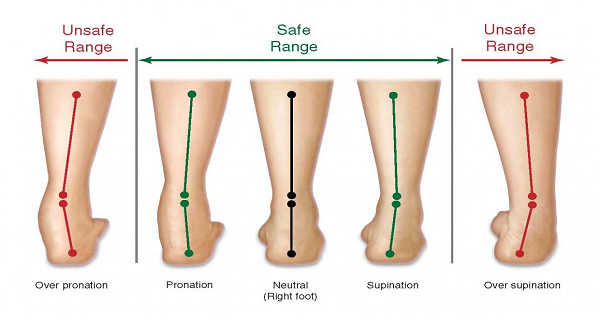 It has been estimated that up to 98% of the population suffers from effects of Pronation Distortion to some degree. As we develop in adolescence, our arches develop elastic plasticity. Simply put, they lose some of their strength and start to bend and bounce as we step. This bounce causes our foot to roll inward, our ankle and knee to roll inward, and our hip to jut outward. Typically worse on one side, this actually causes one foot to appear larger in size than the other and causes your shoes to wear out to the outside of the heel. This elasticity causes an array of soft tissue problems. As the soft tissue changes, the biomechanics across those joints change, and not for the better! 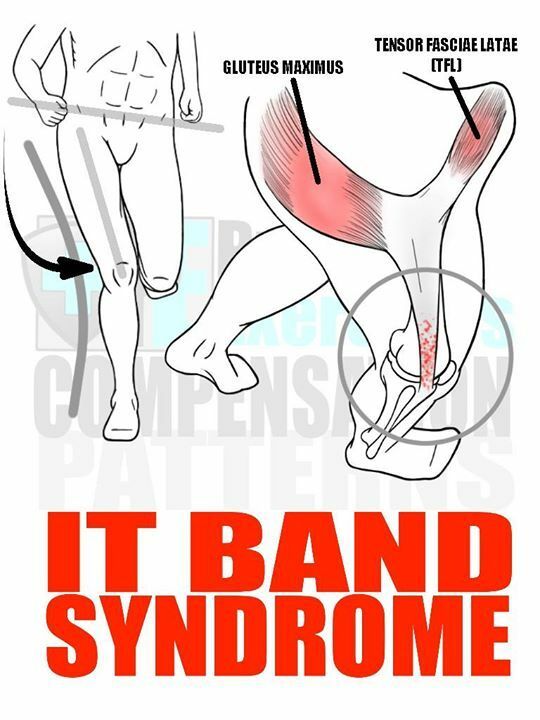 Faulty biomechanics lead to a large number of sports injuries such as plantar fasciitis, Achilles tendonitis, patellofemoral syndrome, IT Band syndrome, and hip issues. 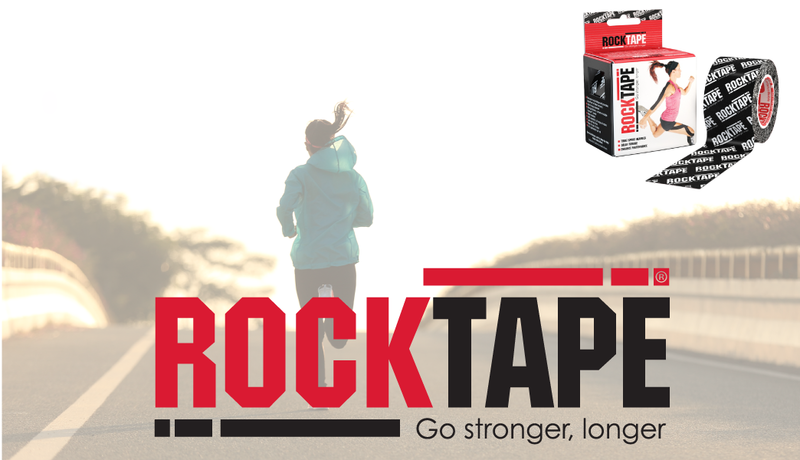 It can even leave an athlete more susceptible to the dreaded ACL tear! The most effective protocol for treating this has several stages. The joints that have now become “stuck” need to be cleared. One side of the joint will have muscles and soft tissue that are spastic, short and tight. These need to be released with one of many available soft tissue techniques—techniques that not all providers are experienced with. Finally, the other side of the joint will have “lazy” muscles that have forgotten how to contract. These need some simple exercises to wake them back up. Depending on how severe your Pronation Distortion is, it will likely need a short, intense course of treatment for correction and periodic follow-ups to prevent its return. With the right care, sports chiropractor Dr. Mark Zuber will have you pain free and performing better in short order! 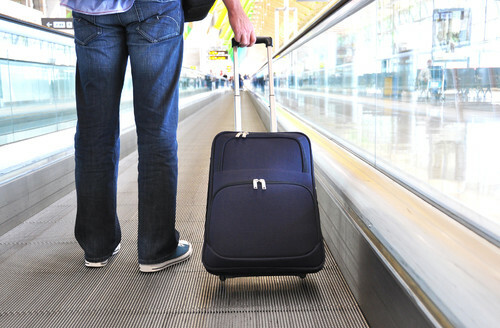 There is a reason our office sees so many of patients right after they return from travel. Travel HURTS! 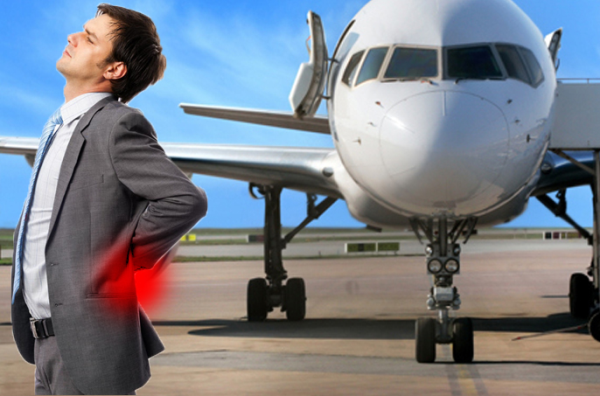 Sitting in one position for too long in a car or enduring the physical demands of flying will cause anybody to have a sore low back and neck. There are things you can do to help. For car travel, adjusting your seat so the lumbar support supports your low back and raising the seat back to 90 degrees helps (straight). To help alleviate the soreness, getting out and walking around for 5 minutes every 2 hours is also a very good idea. For planes, getting wheeled luggage and keeping your bags off of the shoulder carry position should be mandatory! Unfortunately, airplane seats were not designed for good posture; take a small blanket or pillow to fold up in your low back will help tremendously. Also use a neck pillow if you plan on sleeping. And make sure to get up when you have the opportunity. Travel can enrich our lives in so many ways. Make it as enjoyable as possible by reducing the stress on your body in every way you can. For those times you still arrive home with the aches and pains and stiffness, a chiropractic adjustment and massage can make you feel renewed.